The Gassier family is one of the oldest in Provence and they remain firmly rooted there. The Château Gassier vineyard boasts a unique environment, at the heart of the Còtes de Provence Cru Sainte-Victoire appellation. The vineyards enjoy a light continental climate. 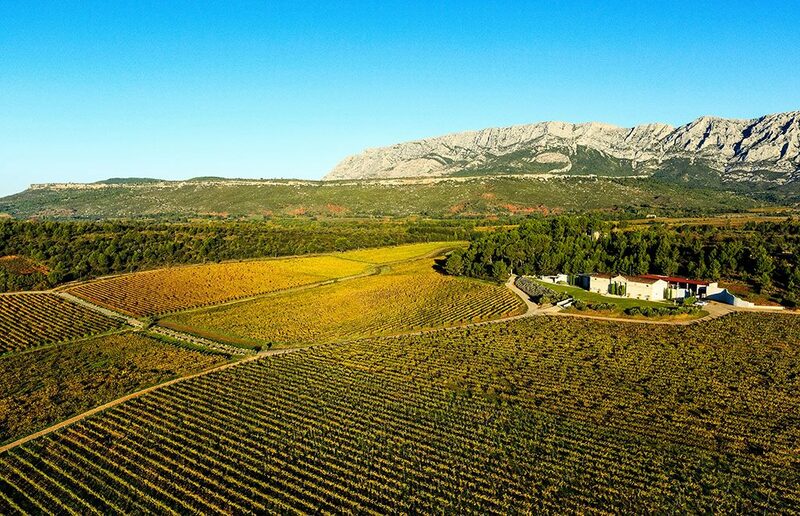 Protected from the oceans influence to the south by the Monts Auréliens and the Sainte-Baume massif, the vines cover the hillsides of the upper Arc Valley. 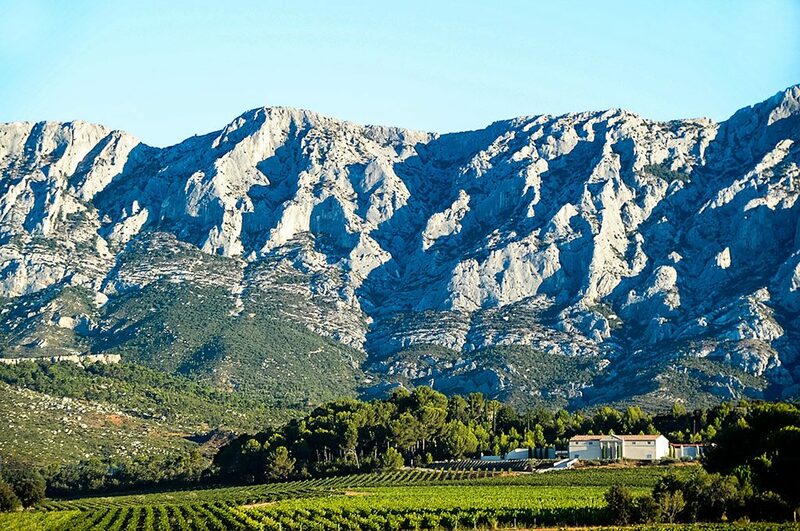 The rocky ridge of Sainte-Victoire affirms this continental microclimate and reduces the liveliness of the Mistral wind that can be so strong, whilst protecting the vines from parasitic attacks. The Côtes de Provence Sainte-Victoire vineyard, like almost all the vineyards in Provence, is considered one of the most natural in France. In keeping with this exceptional environment Château Gassier wines are Organic. Sables d’Azur – An exceptional dry fresh and clean rosé, with crisp acidity. Esprit Gassier – Great aromatic complexity; the palate is round and suave, full of white fruit and spices. Le Pas du Moine – Floral and exotic, this wine invites you to explore the richness of the magnificent Sainte Vctoire terroir.